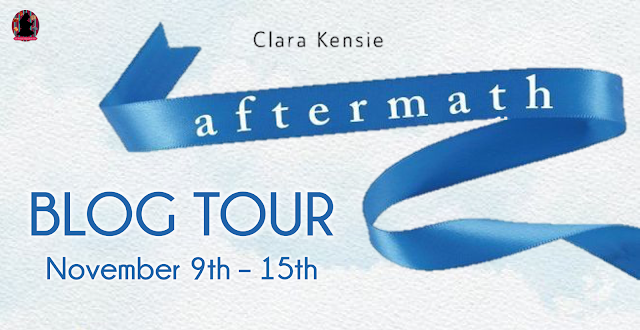 Today I am so excited to bring you my review of Aftermath by Clara Kensie! Make sure you read the post till the end for your chance to win your own hard copy of the book. Trust me, you need to have this book in your hands ASAP! Charlotte survived four long years as a prisoner in the attic of her kidnapper, sustained only by dreams of her loving family. The chance to escape suddenly arrives, and Charlotte fights her way to freedom. But an answered prayer turns into heartbreak. Losing her has torn her family apart. Her parents have divorced: Dad's a glutton for fame, Mom drinks too much, and Charlotte's twin is a zoned-out druggie. Her father wants Charlotte write a book and goon a lecture tour, and her mom wants to keep her safe, a virtual prisoner in her own home. But Charlotte is obsessed with the other girl who was kidnapped, who never got a second chance at life--the girl who nobody but Charlotte believes really existed. Until she can get justice for that girl, even if she has to do it on her own, whatever the danger, Charlotte will never be free. What I absolutely loved about this book was how raw it was. The entire story is told from Charlotte's point of view. A terrible thing happened when she was twelve years old, she was abducted. For four years she has been held captive. Being beaten, raped, and threatened that if she ever tried to leave she would end up like the girl before her. When she finally gets the chance for freedom she takes it, hoping to find her loving family still in one piece, but unfortunately things have crashed and burned since she's been gone. This book isn't about a cheery subject, and honestly the darker books are my favorite. This is the second book I have read about someone escaping their abduction and I think I have found a whole new subgenre for me to explore. Charlotte's story feels so real, because it could really happen. Nothing that happens in this story seems over the top or made up for a book. It all could really happen in the exact way it happens in this book and I think that is why I love it so much. I get so invested in it, because I can clearly see and understand what is happening. I loved Charlotte's story and found it to be so heartbreaking, yet eye opening and inspiring. She goes through so much, but is able to be so strong. She doesn't see it at first, because there is so much going on in her head. In her mind, her kidnapper still has control over her by experiencing the feeling of his hands wrapped around her throat whenever she thinks about being defiant to what he has taught her, but she is able to endure and overcome, and that is truly amazing. I don't want to say much more about it, because the parts I absolutely loved will completely ruin the story for you. Just know that you will be at the edge of your seat the entire time. New shocking events pop up over and over again throughout the entire book, all the way to the end and I couldn't get enough! I absolutely loved this book. It was so deep and dark, and truly felt real. Everything that takes place in this book could take place in real life and that is what I loved about it. I also loved that every time you got comfortable with the storyline, a new shocking event would pop up to completely throw you off. I kept finding myself saying, "What! ", "Oh my god! ", and "No!" outloud throughout the entire book. This book had me hooked! I didn't really know if the subject of abduction survivors would really speak to me, but this is the second book I have read on the subject and I think I have found a whole new world to explore. You have GOT to get this book in your hands and read it. It is seriously AMAZING! One of my favorite books of the year for sure! Winner of the 2015 RITA Award for Best First Book Clara Kensie grew up near Chicago, reading every book she could find and using her diary to write stories about a girl with psychic powers who solved mysteries. She purposely did not hide her diary, hoping someone would read it and assume she was writing about herself. Since then, she's swapped her diary for a computer and admits her characters are fictional, but otherwise she hasn't changed one bit. Today, Clara is the author of dark fiction for young adults. Her debut, the super-romantic thriller RUN TO YOU BOOK ONE: DECEPTION SO DEADLY is the winner of the prestigious RITA Award for Best First Book. 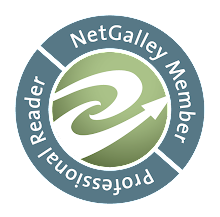 The RUN TO YOU series was named to several Best Books of 2014 lists, including RT Magazine Editors' Pick. The two-book series was originallypublished as a six-part serial by Harlequin Teen in 2014 (First Sight, Second Glance, Third Charm, Fourth Shadow, Fifth Touch, and Sixth Sense). By popular demand, the six-part serial is now available as two full-length books: DECEPTION SO DEADLY and DECEPTION SO DARK. Her next book is AFTERMATH, a dark, ripped-from-the-headlines contemporary about a girl who returns home four years after being kidnapped, only to find her family has fallen apart in her absence. To fix her broken family--and help find the body of her captor's first victim--the girl must first heal herself. 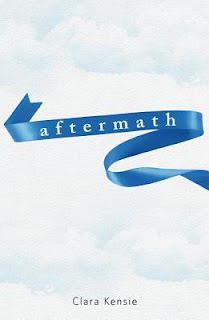 AFTERMATH is a story of hope, healing, and triumph over tragedy, perfect for fans of ROOM and THE LOVELY BONES. Available November 15th 2016 from Merit Press. Clara's favorite foods are guacamole and cookie dough. But not together. That would be gross.